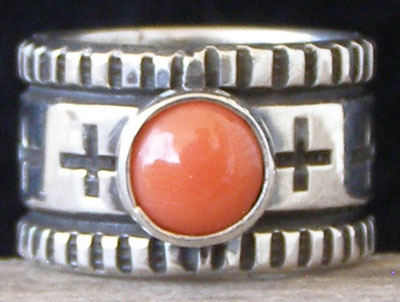 This ring is set with a round of Mediterranean red coral. Four corners crosses are deep-stamped along the equator of this uniform-width band. The stampwork has further texturing visible within the recesses of the crosses and grooved edges. Splendidly detailed work!